Not so long ago there was just bread in the shops: sliced or whole, brown or white. But the past decade has seen a dramatic hike in people’s taste for exotic artisan breads, and now they’re widely available. Some have been resurrected from the past, some brought in from abroad, and others are brand new innovations. 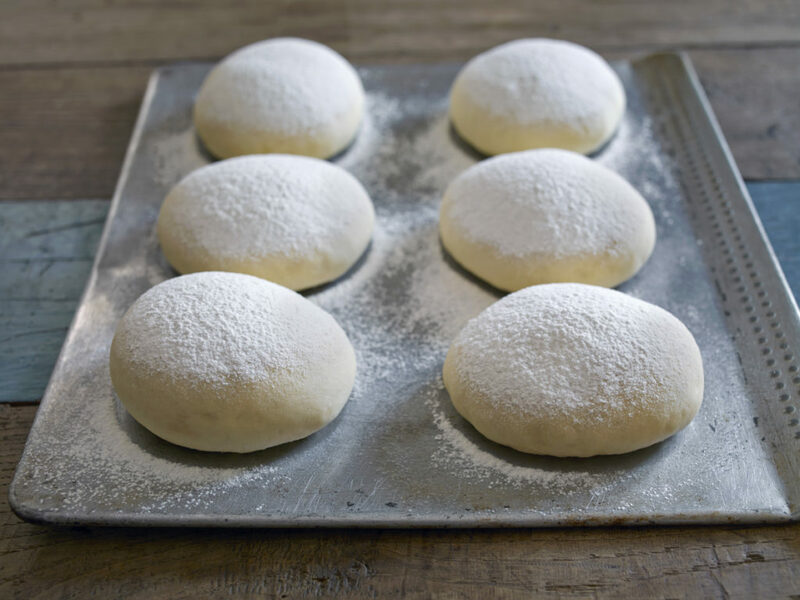 As a result today’s bakery sector is more exciting than ever, and bread is grabbing back its rightful place as a seriously tasty and desirable staple food. Do you know your wholegrain from your wholemeal, your multigrain from your rye? Here’s a simple guide. What is white bread made from? A standard white loaf is made from wheat with the germ and bran removed, so there’s less fibre. There also tends to be fewer B group vitamins, vitamin E and minerals like iron, zinc, magnesium and phosphorus. High fibre white breads simply contain extra added fibre. Wholemeal bread is made of finely-milled wholegrains, giving it a fine texture. It contains more fibre than white flour as well as more vitamins and minerals than many white breads. This is a tricky one, as there are a lot of interpretations of what makes a sourdough. A traditional sourdough will contain no yeast other than that found naturally in the flour and air. This becomes very problematic for bakers though, as it leads to huge variations in fermentation times and quality. Therefore many bakers add a little yeast to kick start the process. 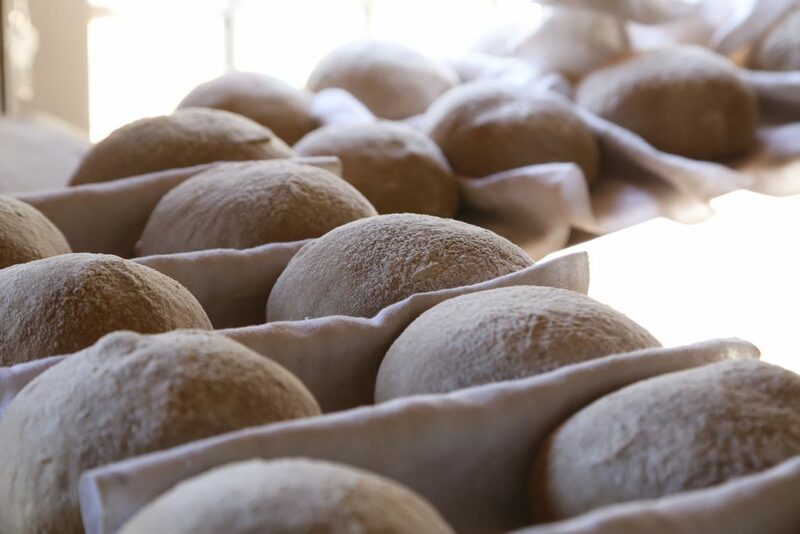 We ferment most of our doughs for between 24 and 48 hours to take advantage of these natural ‘wild’ yeasts and develop the flavour and texture. What’s multigrain bread made from? Multigrain bread is often made by simply adding grains to white flour. But it still contains more fibre than white bread. Wholegrain bread contains the entire grain, including the outer layer – the bran – plus the starchy inside bit, the endosperm, and the germ, which is where most of the nutrients lie. As such it’s a great source of carbs, protein, unsaturated fats, vitamins and minerals. It also includes soluble fibre, insoluble fibre and resistant starch. What about soy and linseed breads? Soy and linseed breads tend to be wholegrain, but usually also include Omega 3 fats. What makes rye bread special? Rye bread has a heavier texture than average thanks to its low gluten content. Wholegrain rye with extra grains contains more fibre and vitamins. We use a light rye flour in our bulk fermented dough. Gluten-free breads are made from non-wheat grains. They traditionally contain less fibre than wheat breads although you can buy loaves with added seeds. Gluten-free breads don’t have any health benefits unless you are actually allergic or intolerant to gluten. They have to use an alternative ingredient to gluten to bind the bread together. This is usually xantham gum, produced by fermenting a range of simple sugars. What are low FODMAP breads? 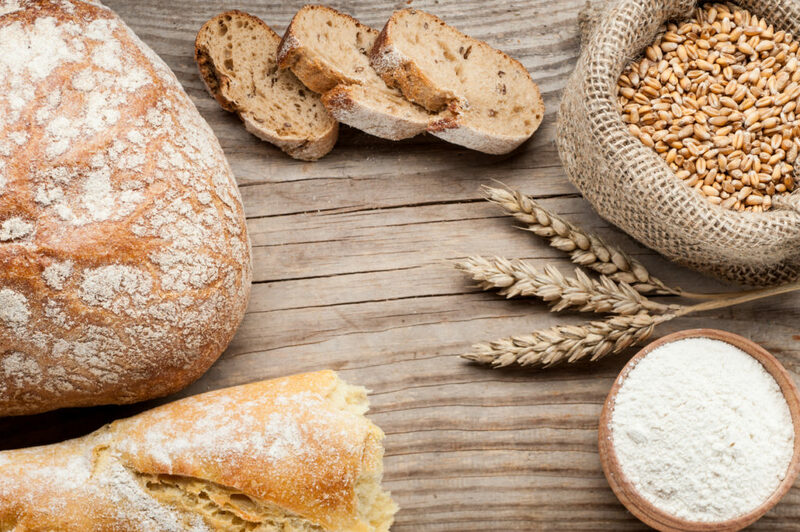 There’s a growing choice of breads specially created for people with conditions like irritable bowel syndrome, who are particularly sensitive to a bunch of carbs called FODMAPS, found in many foods including wheat. These breads contain gluten and usually include added seeds and grains. We bake more than a hundred fabulous breads with love, care and attention to detail. They’re made from British wheat flour, milled from wheat grown by UK farmers. BRC Global Standards sits at the heart of everything we do, and we’re thrilled to be the proud owners a coveted Red Tractor quality mark. If you want to treat your foodservice and catering clients to a unique collection of outstandingly tasty breads, we’ll be delighted to send you a box of free samples.